Microsoft fans have been waiting for more details about the Surface Phone to be revealed. Luckily, the Redmond-based tech company didn’t fail them as it recently released a patent of the much-anticipated device. 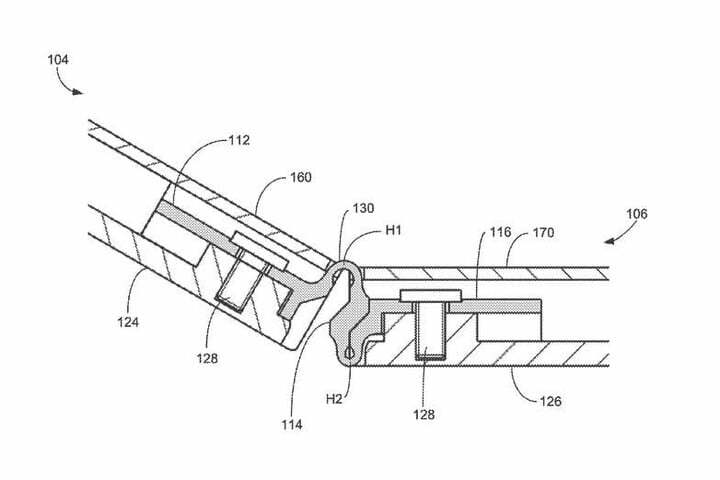 According to Digital Trends, Microsoft publicized a patent yesterday which may have just tipped the features of the Surface Phone or if not, maybe some next-generation Surface handset. 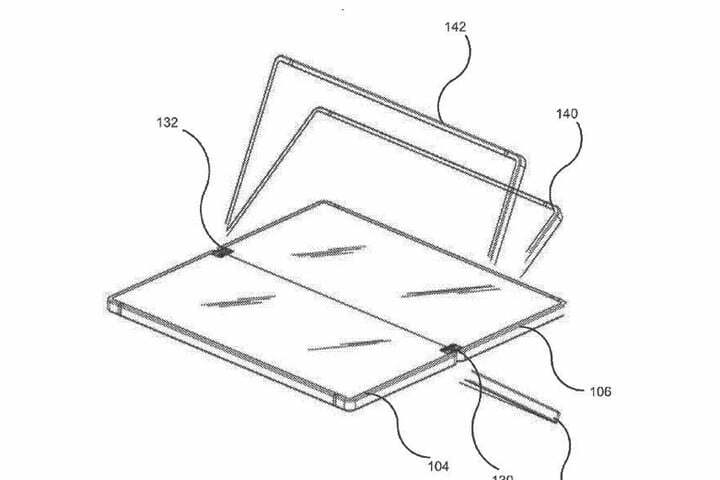 The patent application revealed a “live hinge” which lets a device with two screens to be flawlessly opened flat into a tablet mode or can be folded all the way around back. The gray portion in the middle of the alleged Surface Phone is the live hinge. It links both screens and lets the phone to have an unparalleled degree of adjustability. When folded flat, the hinge makes sure that both screens connected to each other deprived of too much of an unappealing ridge. This would permit the users to fold the phone closed like a book, eradicating the need for a chunky protective case. With that, it appears that the screens could fold further until the screens are “back-to-back,” showing the touch surfaces on both portions of the Surface Phone. This kind of device would have three ways; closed with no screens can be seen, 180 degrees open with both screens adjoined into one bigger display, or 360 degrees open with one screen on each portion of the handset. In the said patent filing, the Redmond-based tech company describes the possible use as a “multi-part device.” Nonetheless, the description also contains a precise reference to the size restrictions of existing single-screen mobile phones. This is indeed a strong suggestion that this is what Microsoft fans have been waiting to see, the long-rumored Surface Phone. Based on the patents, the device’s displays have increased in size to the point wherein it can now consume almost the full front surface of a phone. In some circumstances, further growths in display size would lessen the other capabilities of the smartphone, such as its pocket-size feature. In separate news, Trusted Reviews stated that Microsoft has filed a patent for a new standard of Near Field Communication (NFC). This aims to make it harder for eavesdroppers to tap into data interactions. Additionally, it really seems that there is a chance that this new technology will debut on the mysterious Surface Phone. Dubbed as Secure Near Field Communication (SNFC), this technology is near-identical to NFC. But then, based on the documentation from Microsoft, it has some exception since the SNFC generates an access code to guarantee that all data conveyed can only be deciphered by the intended recipient’s handset. For quick information about this patent, it is the online blog LetsGoDigital that uncover this patent first. It also claims that the said patent of Surface Phone hinting SNFC was filed on January 27, 2017. But then the copy of the documentation that was provided has all the references to the date removed. With that, it is advised to take the information with a grain of salt. Are you one of the Microsoft fans waiting for the Surface Phone? What can you say about these patents hinting Surface Phone’s feature? Please share it with us in the comment section below.